Europe’s most stylish restaurant interior is located in Ukraine! Perhaps even more surprisingly, the award-winning restaurant in question is not located in the heart of booming Kyiv or on the elegant boulevards in cosmopolitan Lviv and Odesa, but in provincial Poltava. Poltava restaurant Shade Burger was named winner in the “Europe Restaurant” category at the 2017 Restaurant and Design Awards in London on 5 October. 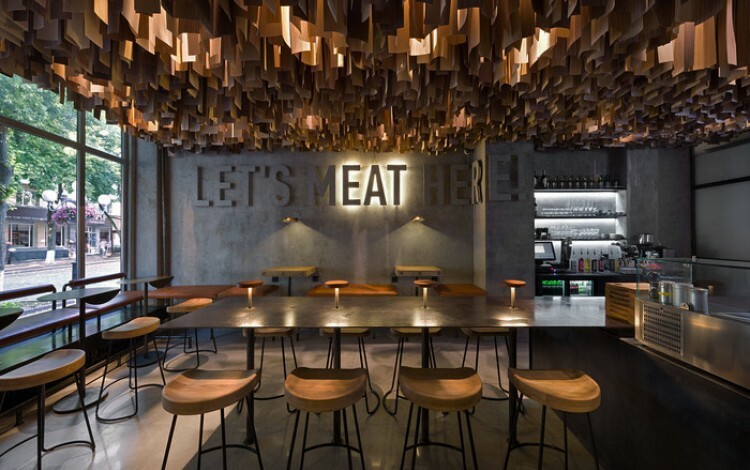 The Restaurant and Bar Design Awards, now in its ninth year, is a globally recognised competition dedicated to the design of food and beverage spaces. It covers every imaginable space, from ships to airports, museums to burger vans, and from revered Michelin-starred establishments to the fleeting dynamism of pop-ups. The awards attract some of the world’s top designers, hospitality operators and judges from the UK and globally. Recent names include Zaha Hadid, Kengo Kuma, Foster & Partners, Stephen Alden, Gordon Ramsay, Tony Chambers (Editor in Chief of uber-cool Wallpaper magazine), Alberto Alessi, Thomas Heatherwick and many more. This prestigious award has shone the international spotlight on one of Ukraine’s lesser-known regions, highlighting the grassroots shift underway in the country as Ukraine moves away from post-Soviet ostentation and integrates into the contemporary European cultural community. 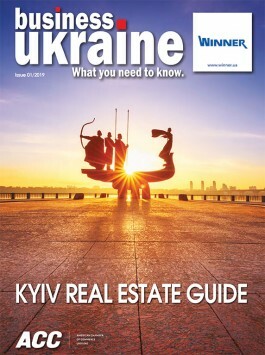 The vibrant hipster scene in Kyiv itself is slowly gaining international exposure following exposure during the 2017 Eurovision Song Contest, leading to claims that it is now “The New Berlin”. However, few European style and fashion writers have yet to venture beyond the confines of the Ukrainian capital itself. The award-winning Shade Burger design is the work of Ukrainian studio YOD design lab. It features minimalist post-industrial concrete aesthetics and funky lighting solutions with a democratic seating ensemble. All this is a long way away from the traditional post-Soviet emphasis on extravagance and excess that saw Ukraine stereotyped as home to tasteless vulgarity and crude displays of material wealth.